At its core, Petrolicious is about the love affair between people and their vehicles. It’s a passion that cuts across the entire planet, no matter if you’re a seasoned collector or a kid born into a car-loving family. Through highs and lows, machines really do become part of our lives. They are Made To Drive. 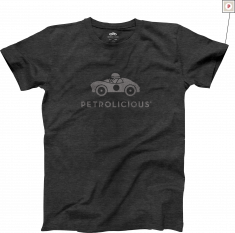 If your bond with a special motor vehicle is as strong as we think it is, this is the shirt for you. 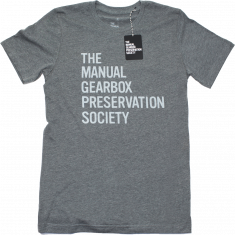 In keeping with our standards for quality, we only carry T-shirts with a superior fit, feel, and an extra soft hand. Our designs are printed using a soft-ink process that is long lasting and doesn’t feel heavy­–so your T-shirt stays at the top of your rotation for years to come. T-shirts have a vintage look and feel, pick-stitch detailing, and are tagless for comfort.